HOLLYWOOD, Calif. – “Meryl Streep gives another Oscar®-caliber performance” (Michael McKinney, Preview This!) 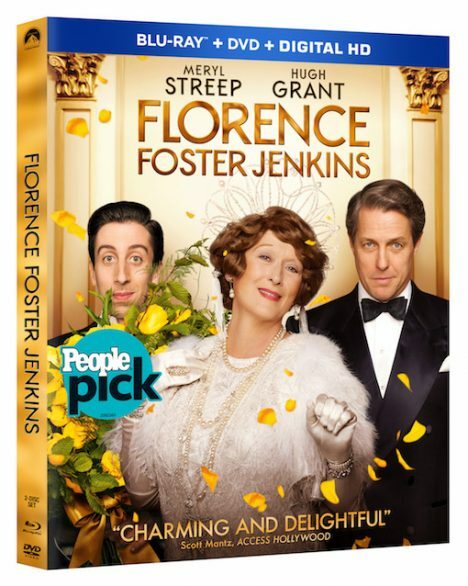 in the “hilarious and touching” (Peter Travers, Rolling Stone) FLORENCE FOSTER JENKINS, arriving on Blu-ray Combo Pack, DVD and On Demand December 13, 2016 from Paramount Home Media Distribution. The film arrives two weeks early on Digital HD November 29. Based on the incredible true story, Academy Award® winner* Meryl Streep stars as a New York socialite who dreams of becoming a great opera singer. While the voice she hears in her head is beautiful, to everyone else it is hilariously awful. Her husband and biggest fan, St. Clair Bayfield (Golden Globe winner** Hugh Grant) is determined to protect his beloved Florence from the truth. But when Florence stages a huge concert at Carnegie Hall, he faces his greatest challenge to make sure her performance hits all the right notes. Directed by Stephen Frears (The Queen, Philomena), FLORENCE FOSTER JENKINS also stars Simon Helberg (“The Big Bang Theory”) and Rebecca Ferguson (Mission: Impossible—Rogue Nation). The Blu-ray Combo Pack with Digital HD features 50 minutes of bonus content including behind-the-scenes footage, a Q&A with Meryl Streep, an exploration of the music, deleted scenes, and much more. 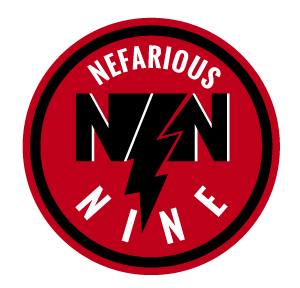 The single-disc DVD is presented in widescreen enhanced for 16:9 TVs with English 5.1 Dolby Digital, Spanish 5.1 Dolby Digital and English Audio Description and English and Spanish subtitles. The disc includes the feature film in standard definition. Paramount Pictures, Pathé and BBC Films present, with the participation of Canal+ and Ciné+, a Qwerty Films production of a Stephen Frears film. Meryl Streep, Hugh Grant “Florence Foster Jenkins.” Music by Alexandre Desplat. Executive producers Cameron McCracken, Christine Langan and Malcolm Ritchie. Produced by Michael Kuhn and Tracey Seaward. Written by Nicholas Martin. Directed by Stephen Frears.